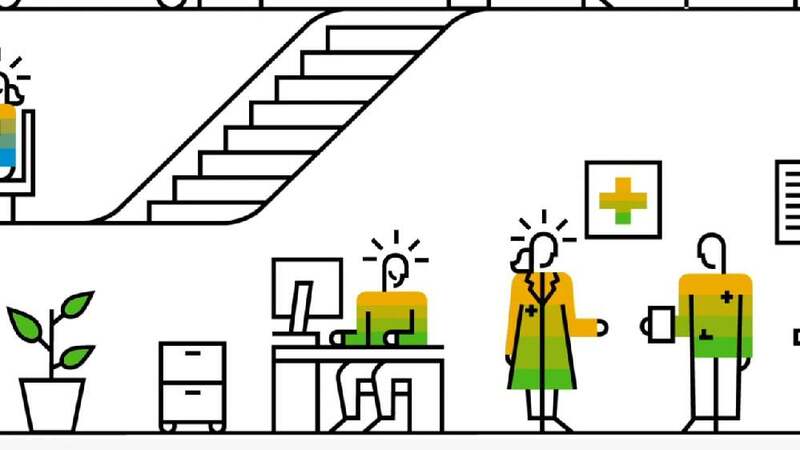 SAP Health for Waiting Time Management offers a new waiting experience tailored to the needs of patients and hospital staff. Installed in the waiting room of emergency rooms and outpatient practices, the display provides a comprehensive real-time overview of individual waiting times through a cloud-based service. The intuitive interface allows patients to find their position in the queue at a glance. Thanks to a department-based column display, they can orient themselves quickly. The left-aligned patient identifiers allow quick and easy scanning.